We are passionate about this statement. We are a proud team that continually learns, teaches and refines. We genuinely care and respect our guests. Chef-Owner Curtis Stone is a chef, restaurateur, author, media personality and businessman. Originally from Australia, Curtis was classically trained in Europe as protégé to Michelin-starred London chef Marco Pierre White. In February 2014, Curtis opened his first solo restaurant, Maude, in Beverly Hills. Named after his grandmother, Maude Restaurant has garnered rave reviews and accolades as an international culinary destination from James Beard Foundation (2015 Best New Restaurant semifinalist), TIME/Travel & Leisure (lists Maude as one of the best new restaurants in the world), Eater LA (2014’s Restaurant of the Year), LA Weekly (2014’s Best New Restaurant followed by 2015 Best Restaurant in Los Angeles), LA Magazine (4 out of 4 stars), Angeleno and more. 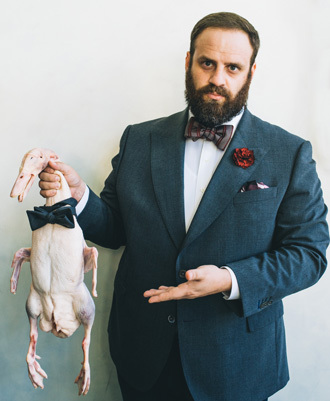 Luke Stone, Managing Owner of Gwen Butcher Shop & Restaurant in Los Angeles, California, is a successful Australian entrepreneur in retail and hospitality as owner of Strathmore Flowers - one of the leading floral businesses in Melbourne, Australia. 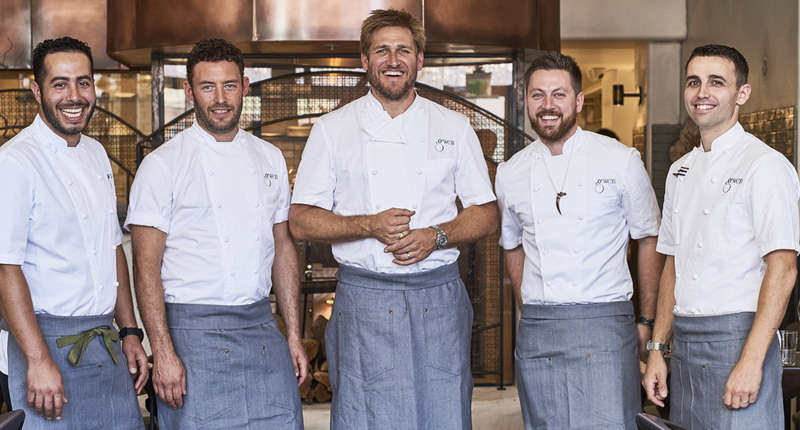 With the opening of Gwen, in partnership with his chef-brother, Curtis Stone, Luke is excited to add ‘restaurateur’ to his resume. Born and raised in Melbourne, Luke while pursuing an Accounting Degree bought Strathmore Flowers, in 1999 and focused his sights on growing its corporate clients. In 2008, the company expanded to a custom-built property to accommodate its growth. Luke recently relocated to California with his wife and three children to partner with his brother Curtis on Gwen - a vision the two brothers have shared for more than a decade. Ben Aviram serves as Director of Restaurant Operations for both Maude and Gwen, overseeing all staffing, operations and the beverage programs. He first discovered his love for wine while at The Culinary Institute of America, and immediately after graduating went on to help launch the wine internship (“vinternship”) program at The French Laundry, Thomas Keller’s highly esteemed French restaurant in Napa Valley. His work on the program led to a full-time position as a TFL Sommelier, a position he held for three years. Next, Aviram was a Sommelier at the famed Alinea in Chicago — the three Michelin starred fine dining restaurant from Grant Achatz. After four years at Alinea, Aviram joined the opening team at Maude, serving as the General Manager and Beverage Director. Most recently Executive Chef at Stone’s first restaurant, Maude, Chef Gareth Evans has cooked at some of the most prestigious fine dining restaurants in the world. 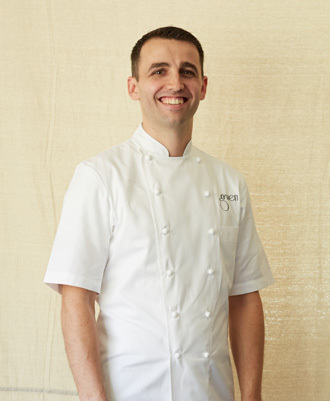 After starting his career in London at Gordon Ramsay and Marcus Wareing’s Savoy Hotel under Head Chef Josh Emmet, Evans moved to Paris to cook with Joël Robuchon. He became the Chef de Partie at Joël Robuchon’s La Table, and helped Robuchon’s famed restaurant advance from one Michelin star to two stars. He then worked with Robuchon to open L Atelier de Joël Robuchon, where he served as Sous Chef. In 2007, he moved to the U.S to cook at one of the country’s most notable restaurants, Thomas Keller’s Per Se in NYC, where he worked under the talented Jonathan Benno before heading West to join the opening team at Maude.